We have surpassed digital transformation and need to move into a new mindset of "ContinuousNext" says Gartner. 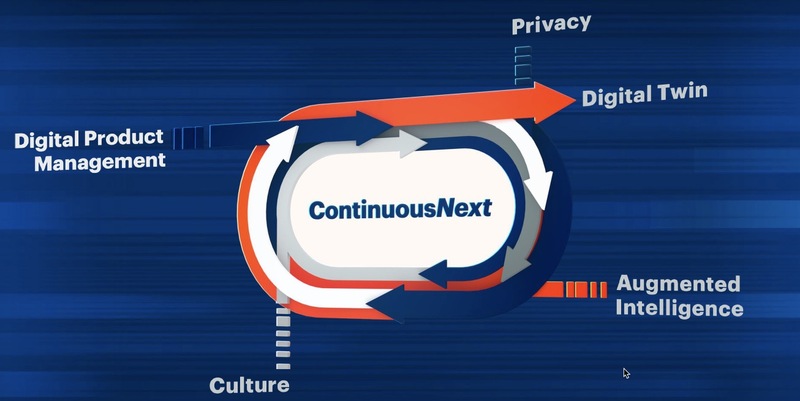 The formula to achieve success in a world that is constantly changing is to implement a ContinuousNext approach, according to Gartner, Inc.
ContinuousNext is the term that Gartner has adopted to signal the evolution past digital transformation into the beyond. At the annual Gartner Symposium in the Gold Coast the opening keynote introduced the newly coined terminology to an Australian audience. ContinuousNext seeks to help businesses maintain momentum in their digital transformation. The goal of ContinuousNext is to enable a business to be ready for “What’s next?” and to pursue dynamism in their adoption of change. Digital transformation has impacted the entire enterprise, and the winners are those that can constantly adapt to change – that can live in the Continuous, says Gartner. The transition to digital is undeniable and accelerating – disrupting business models, and the way organisations create and deliver value. Business leaders have to anticipate change, and leverage new technologies to achieve it. There is a simple formula says Gartner and it begins with mindsets accepting and embracing perpetual change. In essence, new mindsets lead to new practices, which are then amplified by technology, leading to new capabilities which when applied lead to new results continuously. Gartner shares five key imperatives they say are key to helping companies achieve ContinuousNext. Culture is vital to successful transformation. Change has been ongoing and is stressing employees. “IT needs to ask if they are part of the problem. New systems have the best intentions, but there are thousands of applications in the field. This has a real impact on productivity. Getting people ready for more aggressive technology adoption is harder than bringing in new technology. We can’t change the need to change, but we can help employees to adapt. Gartner analysed 13 000 organisations and looked at their enterprise technology adoption profile. It found that the most successful organisations are overwhelmingly dynamic. Measured organisations can achieve top performance, but success is less likely. The strongest determinant of success is dynamism – the ability to adopt technology in a new way. This means that social skills are more in demand. Garter believes there is a changing demand for skills. Today, social creative skills account for half of the people needed, and this is more pronounced in IT. Going forward, social creative skills will be more than half the demand.This will lead to more collaborative leadership. Privacy and trust are increasingly becoming powerful. The public view of privacy has now flipped because governments, businesses and citizens are taking action over data privacy. Privacy is trending toward becoming a fundamental human right. There is rising scepticism among consumers. 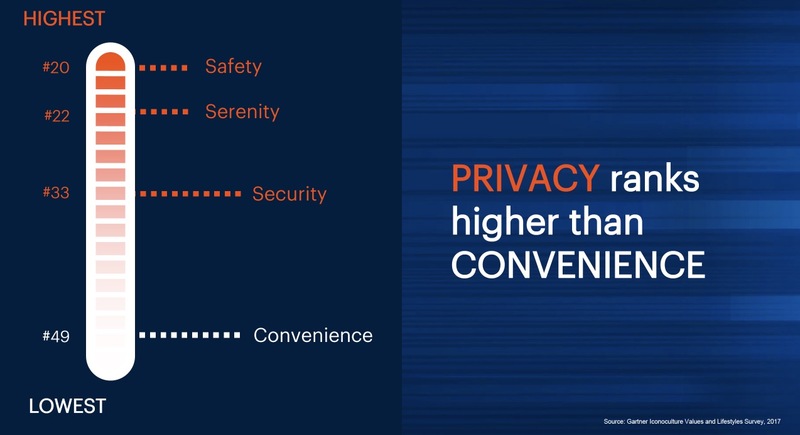 In fact, for the first time, consumers are not about to give up privacy for convenience. CIOs have a mandate to maintain data protection on sensitive data about customers, citizens and employees.This means putting someone in charge of a privacy and management programme, detecting, and promptly reporting breaches to ensure individuals have control of their own data, especially where the law requires it. 3. AI - "once in a lifetime opportunity"
“The technologies learn from their teachers – so choose your teachers well,..
“Done right your organisations will be exemplary – in fact, AI will help you become more dynamic and establish the organisation as a leader,. Along the way you can significantly address the culture. Experiences of AI to date have created some confusion in the market. Companies that have not yet adopted AI believe there will be job losses from it. But those that have adopted AI technologies have seen fewer job losses than expected. AI is a broad range of technologies that include making things easier, getting people and machines working together, and advancing the digital ecosystem. Robotic process automation is one way that AI is improving the way machines talk to each other, eliminating some of the process steps that used to be done by people. “We have to prepare the workforce for a new future, where workers are not doing rote-repetitive work. With augmented intelligence, workers’ jobs are becoming more impactful, more meaningful and more rewarding." Gartner predicts that by 2020, three-quarters of digital business leaders will pivot from project to product-centric management. Amazon is a tech company in the retail market; Tesla is a tech company in the automotive markets; and Apple is a tech company in the health arena. Digital product management supersedes IT project management. Projects are now a secondary consideration, while products are prime. DPM focuses on the intersection of the business, the customer experience, and technology. Digital product managers deliver innovation at scale for companies and customers. Every industry is having its products digitised. DPM requires deep changes in mindsets and practices. The change will be a big one for IT executives, but it will be empowering, says Gartner. An organisations’ future growth will depend on applying a formula of digital project management to speed it along the path to ContinuousNext . A digital twin organisation will speed this process, says Gartner. Companies can create digital twins of their organisation that include non-physical things like processes, interactions, and the way people perform their jobs. “DTOs are always on, always learning, always changing, always giving you the intelligence to get to ContinuousNext." NOTE: VoicePlus is a Gartner Associate. We showcased our Gartner-cited Atrium Managed Mobility Service at Gartner Symposium and ITXpo in the Gold Coast earlier this month. A Managed Mobility Service relieves IT of mobile=related operations, increases workforce productivity, and delivers cost optimisation savings.